Russell Szekely (above), VP of Canteen Culinary – a part of Compass Groups USA – shares his reflections on the Fair Food Program after a visit to Immokalee. 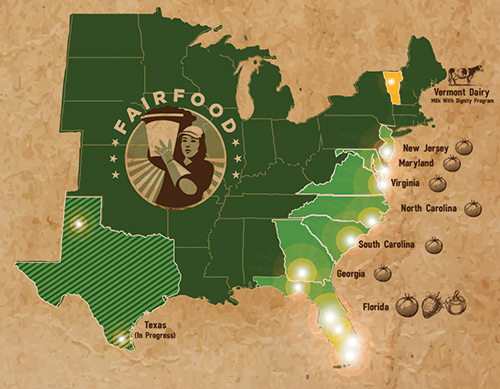 Today, we bring you news of a brand-new campaign by one of the Fair Food Program’s participating buyers, Compass Group USA! Compass serves 9.8 million meals every day at its countless different venues, from school lunchrooms to corporate cafes, and the communications team at Compass has set out to share the story of the Fair Food Program, and its partnership with the CIW, along with the meals it serves. Over the past year, Compass Group has been quietly investing in educating the leaders within the company – from those who source tomatoes and other fresh produce, to the chefs who carefully prepare meals in school cafeterias, hospitals, and restaurants across the country – about the topic of Fair Food. And now, Compass is taking this mission beyond the walls of the company and straight to its millions of customers. At Compass, safety, health, and environment come first. We never compromise on the health and safety of the people in our communities. We also have a zero tolerance for harassment and discrimination. We share these values in common with the CIW and FFP. 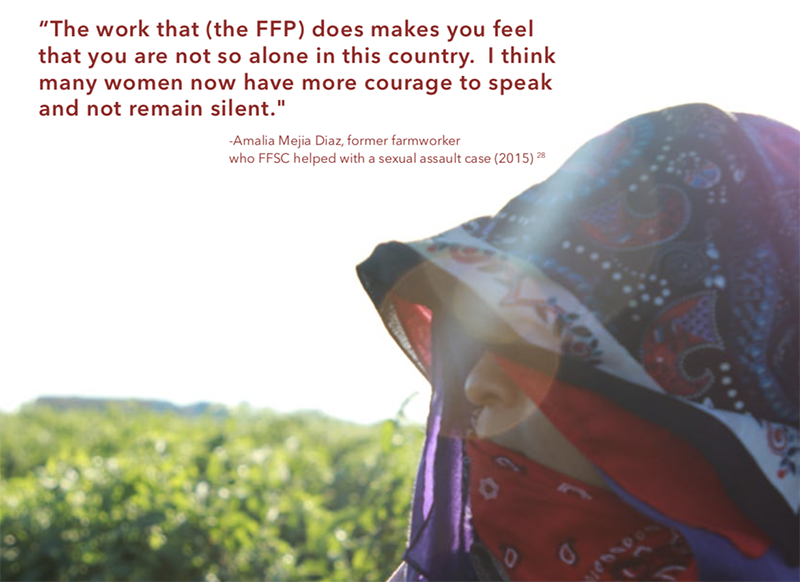 Farm work is the third most dangerous job in the U.S. and women who work in the fields are particularly vulnerable to sexual harassment and assault. 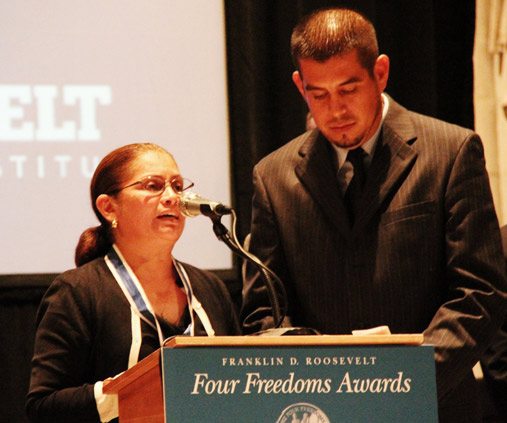 Farmworkers deserve safe working conditions and opportunities to advance beyond the field. Our partnership is making positive changes in the industry. Video of Suzanne Yip from Chartwells K-12, reflecting on leaving the world better for the next generation. You can check out the microsite here to get the full story of Compass’s support for the Fair Food Program, including the complete roster of the first generation of “Fair Food Chefs” – among whom is a Top Chef champion, Joe Flamm, currently at the helm in the kitchens of Levy Restaurants. 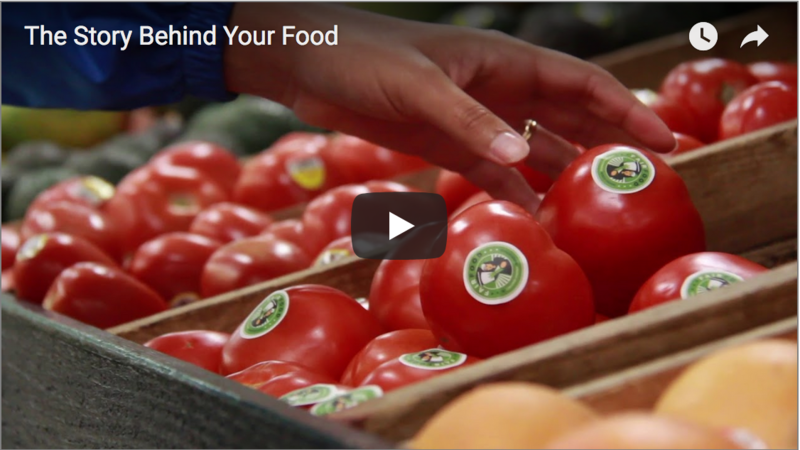 This August we highlight tomatoes as our Superfood of the Month. Tomatoes are an excellent source of vitamin C and vitamin A, low in calories (only about 30 per cup), and star in many delicious summer dishes. Over the years though, tomatoes’ nutritional benefits aren’t necessarily what has earned their publicity. In the 1800s, the debate over whether a tomato is a fruit or a vegetable made it all the way to the Supreme Court. Spoiler alert: tomatoes are botanically a fruit, but legally a vegetable. But around Morrison Healthcare and Compass Group, there’s another issue surrounding tomatoes, more specifically tomato farmers that has forever changed the food industry and our own hearts: the issue of modern day slavery and the fight for fair food. 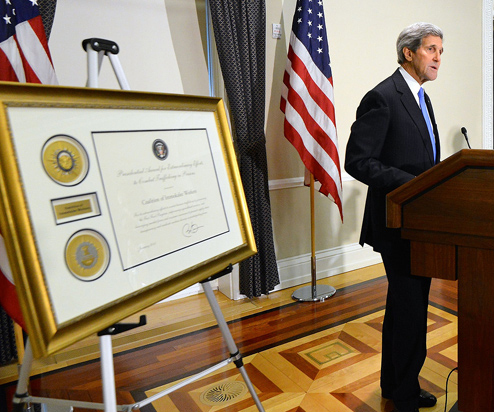 The success of a movement hinges on its supporters who are ready and poised to take action. 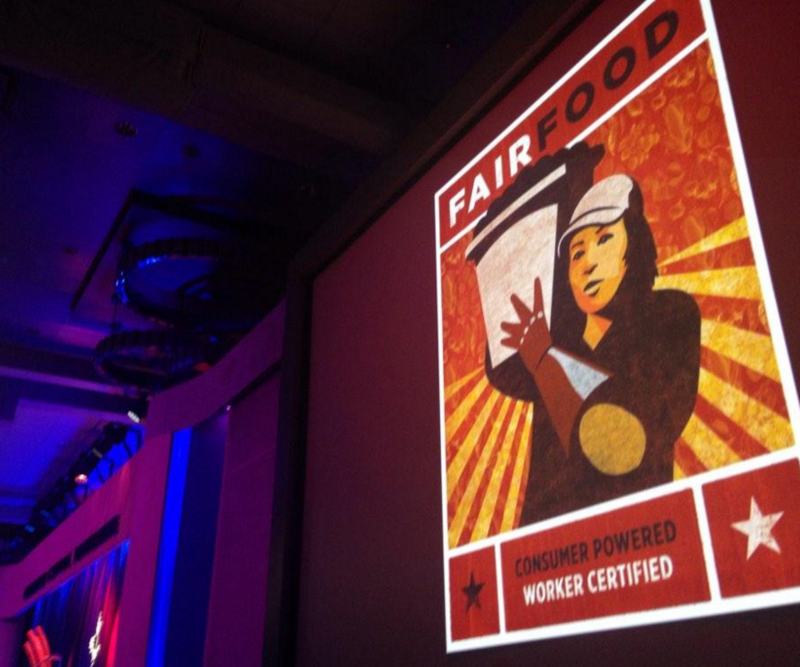 Compass Group has rallied a Coalition of Fair Food Chefs. Two of those chefs are Morrison’s Cary Neff, VP of Culinary and Paul Ruszat, Regional Executive Chef. Because of their roles in sourcing, purchasing and preparing food, chefs are ideally situated on the front lines to fight for clean and safe foods, safe working environments, fair pay and fair treatment. 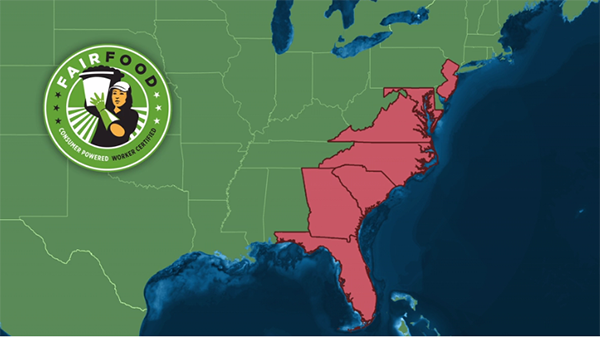 Cary continues to encourage our teams to learn more about the Immokalee Farm Workers, demand for Fair Food tomatoes and other fair trade products. He’s encouraging Morrison chefs to speak up too. 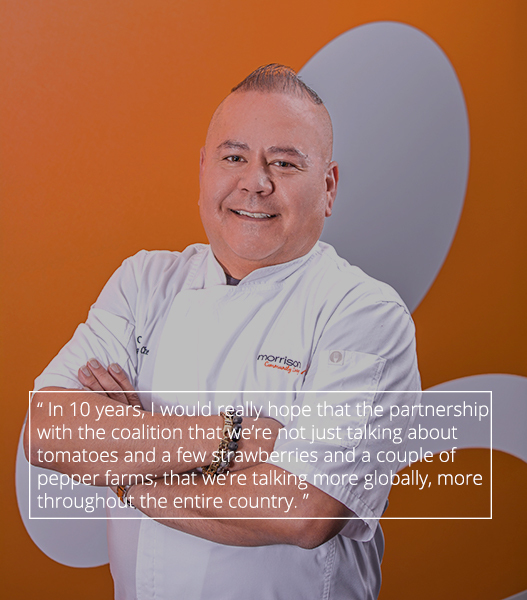 We’ll conclude with the words of Jae Church (below), the Corporate Executive Chef at the Morrison Community Living and one of the many Fair Food Chefs who came down to visit Immokalee during a Compass delegation. Hear, hear! 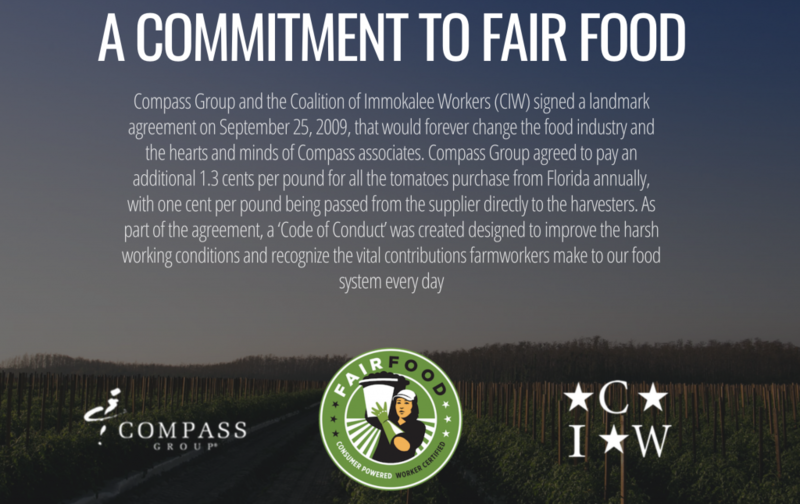 As the new cohort of Fair Food Chefs learned on their visits to Immokalee, the Fair Food Program was built by farmworkers – but, the Program’s unique market consequences, made possible through the commitment of companies like Compass Group USA, are the power behind the enforcement of workers’ fundamental human rights in the fields. We look forward to expanding our partnership with Compass Group and other participating buyers to bring this commitment to human rights in the food chain to many, many more crops in the years ahead!